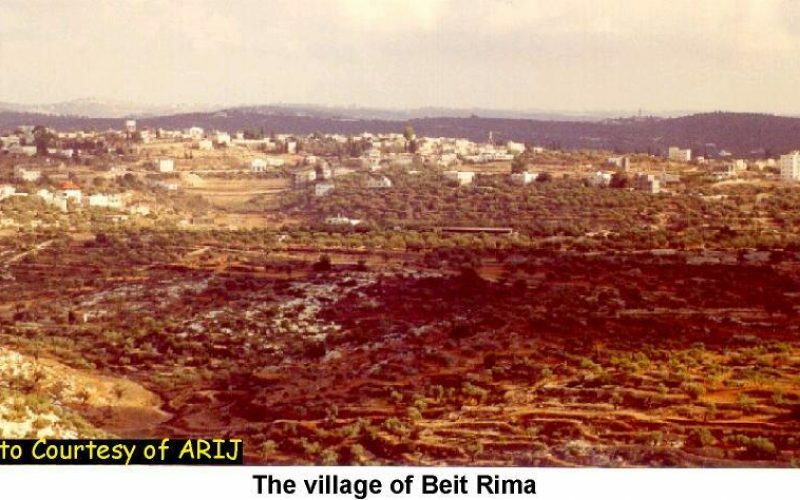 Beit Rima is a Palestinian village lying 15 kilometers north west of Ramallah. The Palestinian Central Bureau of Statistics lists Beit Rima and the adjacent village of Deir Ghassana under the same entry as Bani Zaid. 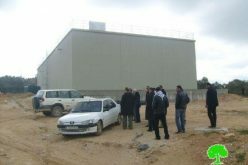 It has around 4000 inhabitants and was included into Area A (area of full Palestinian civil and security responsibility) in January of 2000; see photo 1 . 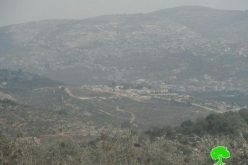 The Israeli government had delayed the inclusion of Beit Rima into Area A many times before, as was the case with other Palestinian towns and villages. 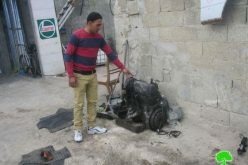 The people of Beit Rima were glad to become part of Area A since that meant they would have better access to services provided by the Palestinian authority. Moreover, It also made them feel more secure. According to the Oslo Agreements, the Israeli army can enter Area B freely but in Area A it needs Palestinian coordination. Yet, the villagers' sense of security behind Area A lines vanished on the night of the 24th of October 2001. Coming from the direction of Halamish settlement to the East, Israeli forces stormed Beit Rima at around 2:00 am in the morning; see photo 2 . Scores of Israeli soldiers backed by at least 34 armored vehicles and an Apache helicopter opened fire at the Palestinian National Security outpost at the village's entrance. The out-numbered and vastly under-equipped security forces were quickly gunned down. Those that managed to take cover were chased by the Israeli helicopter. After a short pursuit in the empty plains, the helicopter finally hit its target; see photo 3 . 1. Yacoob Al Hodali's house; see photo 4. 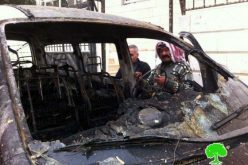 The Israelis claim that his son is responsible for attacks on Israel. 2. 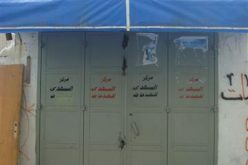 Ahmad Yousef Ruheimeh's house; see photo 5 . Four households lived in this house. 3. Abdel Rahman Ruheimeh's house; see photo 6. After that, they went over to thirty other houses, which they ransacked under the pretext of looking for hidden weapons. One of the witnesses, Faris Aqel, said that the soldiers did not knock on peoples' doors but rather they would fire shots at the doorknob from far away. In one instance, women and children were told to put their hands over their heads and stand around the soldiers as human shields. He said the soldiers didn't move in until police dogs had sniffed their way into the houses to check if someone was still inside. Then they occupied the house and placed a heavy machine gun in the kitchen. The head of the family, Najeh Al Rimawi, was told to stand next to the gun, again, as a human shield. The Israeli soldiers made him stay like that from 3:00 a.m. till 2:00 a.m. the next morning. For the first seven hours, no one was allowed into the village, not even the ambulances, as the Israeli army declared the village a closed military area. Then, after five hours of strenuous negotiations, only the ambulance of the International Red Cross was allowed in to check for casualties. After two hours, the Israeli army handed the Red Cross the bodies of the five slain Palestinians as well as two injured Palestinians which were then taken to Ramallah. When the ambulance reached Surda checkpoint, the soldiers searched the injured Palestinians while in the vehicle. There were two other injured Palestinians reported but the Israeli ambulance had already transferred them to hospitals inside Israel. 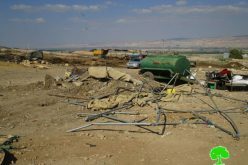 At noon the Israeli army withdrew, but only after it had detained around ten villagers and spread destruction all over the once peaceful village. 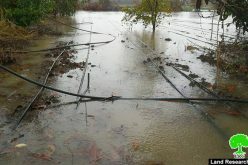 Electricity poles, telephone lines, and water pipes were destroyed; see photo 7.